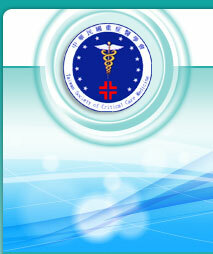 The Taiwan Society of Critical Care Medicine(TSCCM), under the initiation and leadership of Professor Yu-An Ding, was established on October 4, 1998. Thanks to the leadership exhibited by subsequent past presidents, Professor Kai-Sheng Hsieh and Professor Chin-Pyng Wu, the state of the Society has prospered day by day. The present Fourth Presidentship, assumed on October 28,2007 by Professor Chi-Huei Chiang and assisted by Secretary-General Dr. Wann-Cherng Perng, continues to the Society to stride forward toward the its goals. The Society is a social group founded for non-profit objectives and in full compliance with the law. Its missions are to increase basic and clinical research on critical care medicine, to introduce updated treatment, to promote citizens' health, and to facilitate global academic exchanges. In addition, academic seminars of interest are held by the Society every year. In the area of international cooperation, in addition to continuing its active involvement in the affairs of the Society of Critical Care Medicine (USA) , TSCCM also actively organizes multiple international conferences. By hosting such international conferences, we hope to improve the standard of critical care medicine as well as engender close cooperation with the international medical community. Critical care medicine should be “Multidisciplinary Medicine”, which could be a link between intensive care and end-of-life care. TSCCM deeply hope our society will provide and build continuously a complete system of critical care training, education and promotion.